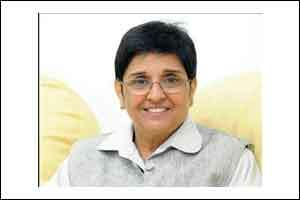 Puducherry: Lt Governor Kiran Bedi has sought an immediate report from Karaikal district Collector on the status of the blood bank in the government general hospital. In a WhatsApp message to media persons, Bedi said she had information from concerned source that the licence for registration of the blood bank in the hospital had expired a decade ago and has not been renewed. Bedi stated that the non-payment of licence fee to the authority has been the problem for the non-renewal of the license, adding, that there was no sanction of the fee at the level of the Secretary of Health. The licensing authority was demanding settlement of the fees for the last 10 years while the department refuses to pay the arreats’, she said. The former IPS officer was currently concentrating on various deficiencies in the health department particularly in the context of the fight against dengue that had been rampant in the Union Territory. She wanted the District collector to go into the issue and send immediately a report on the status of the blood bank.